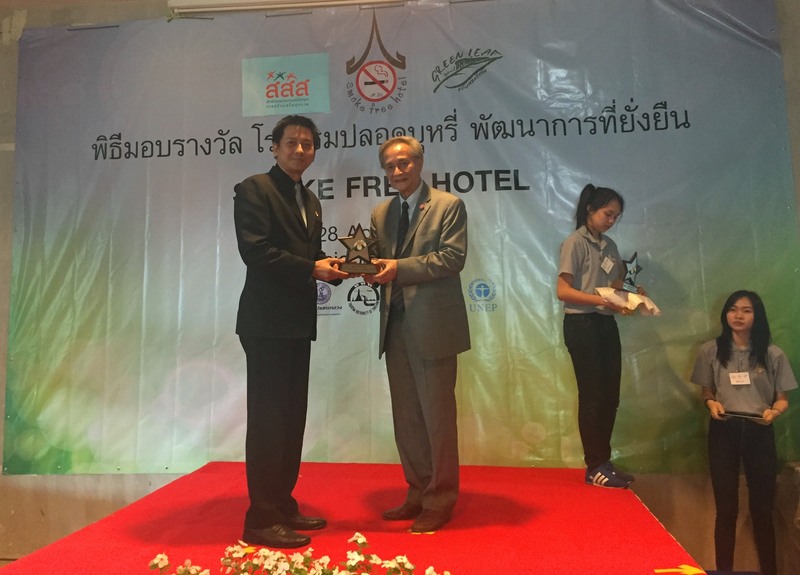 President of the Green Leaf Foundation, Dr. Suvit Yodmani (right), recently presented a “Smoke- Free Hotel Award” to Mr. Tanasak Vanichavit, Hotel Manager of Maitria Hotel Sukhumvit 18 – A Chatrium Collection. The event was organized by the Green Leaf Foundation in co-operation with Thai Health Promotion Foundation at Mahidol Learning Center, Salaya, Nakhon Pathom. 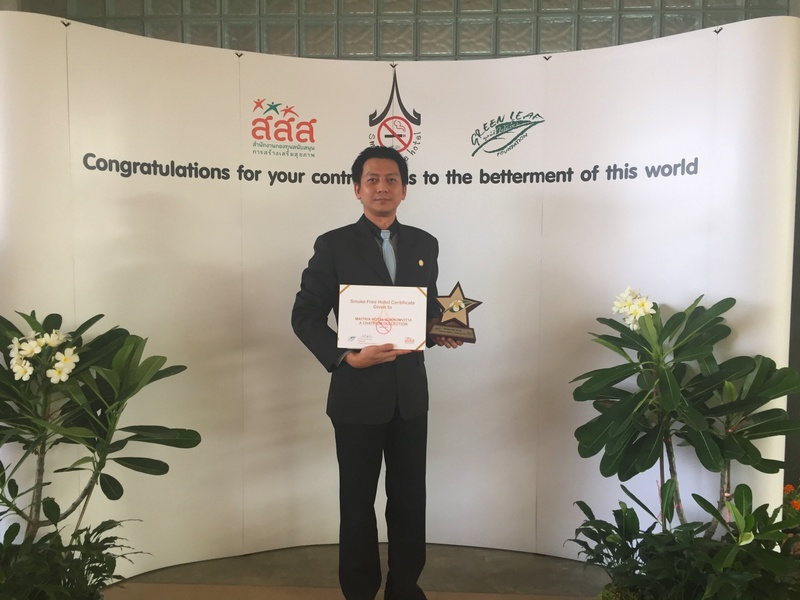 The awards were given to hotels that demonstrated a strong commitment towards environmental protection and health promotion. Maitria Hotel Sukhumvit 18 – A Chatrium collection has made every effort to offer environmentally friendly facilities and services. Since Maitria Hotel Sukhumvit 18 – A Chatrium collection opened in 2014, smoking is allowed only in designated areas due to its adverse health consequences. “Our guests can be assured that they are in an environmentally-friendly property and that they can take part in contributing to the sustainability. Maitria management and staff commit ourselves to act in an environmentally responsible way. Think First Think Earth, as we have it in our goal”, said Mr. Tanasak Vanichavit, Hotel Manager of Maitria Hotel Sukhumvit 18 – A Chatrium Collection.